No Filler Required....those were the days! Renee Simonsen, a naturally full pout. 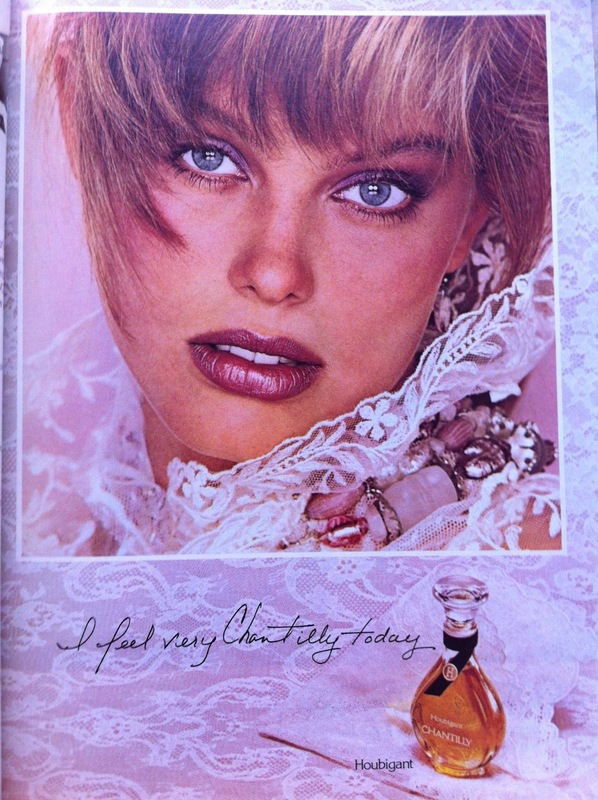 I love looking through my vast collection of vintage fashion magazines. 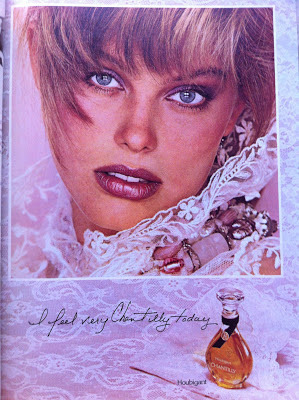 It occurred to me today that the models in the '80s were much more "natural" than the superstars of today. Hey - they didn't look natural, but they really were - after all, the days of Botox and filler were decades away. Back in the '80s, models like Renee Simonsen and Nastassia Kinski were famed for their gorgeous, full lips. Well...today....the puffy lipped look is all too common - but a lot of today's (mostly B list) stars are sporting what is referred to as "trout pout" - I won't name names - but you know the fashion victims. Outline your lips with a pencil liner (Spice liner by MAC is a cosmetic bag essential) - trace just outside your natural lipline. Now, fill in with a creamy lip colour - use a lip brush or straight from the tube. Want a suitable shade? Look at the inside of your bottom lip - and choose a lip shade that matches. The goal is to find a shade that looks like your lip colour, only better! Blot with a tissue. Re-apply your lip colour. This step deposits colour and ensures a long-lasting application. Choose a highlight lip colour (2 shades lighter, maybe a frost or gloss) and apply to the bottom centre of your lips and also to your top lip in the centre, or the "bow" of your lips. Not smiling, but looking hot! 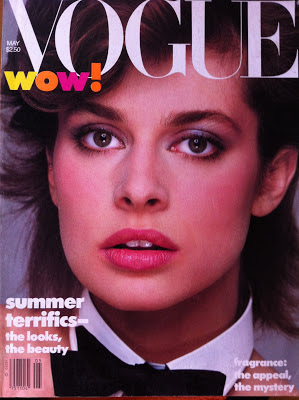 Supermodels of the eighties RULED. Renee dated John Taylor of Duran Duran. Her lips....his cheekbones. What a rockstar/model couple!